Way back in 1989, when we invited a few fellow musicians who had travelled with us overseas to perform at the Salisbury Town Grove, the Annual Grove Festival was born. At that time, we could not have imagined the many ways in which this event would flourish. Over the last 23 years, we have relished spending the last Saturday in June with so many of you, enjoying an event that runs like a thread through our lives and the fabric of our local community. Sadly, because of some health problems in our family that have irreparably impacted the planning process, we need to gently bow out of staging this event for at least this year. To do so without acknowledging the many factions of our community who have nurtured its growth would be remiss. As such, we would like to thank the Town of Salisbury, the staff of the Town Grove, The Salisbury Bank and Trust Co., and so many small businesses and volunteers who have nourished every evening from its inception to its successful conclusion. We also respectfully ask you to consider finding a way to support next year's Salisbury Central School eighth grade class and their efforts to raise funds for their trip to Washington. This evening has longed served as the kick off event of that endeavor, and its absence will create a significant hurdle for them to overcome. With time and healing, we may well find the strength to resume what we are suspending for the moment. If you attended this festival annually and looked forward to doing so again this year, we ask for your understanding and for what we hope will be your continued support. We will sincerely miss the energy that this event instills in us and in our community. In the interim, wherever you are... in whatever you do... Strike a Chord for Global Harmony ! On Saturday, June 25th from 5:00 - 10:00pm, Project Troubador will present the 22nd Annual Grove Festival at the Salisbury Town Grove, which is located at 42 Ethan Allen Street in Lakeville, CT. The Town Grove can be accessed by taking Ethan Allen Street off of Route 41 or Holley Street off of Route 44 in Lakeville and following the "arrows" that will be placed there on that day. A map showing where the Town Grove is situated in Lakeville and directions to it can be obtainedby clicking on the link below. 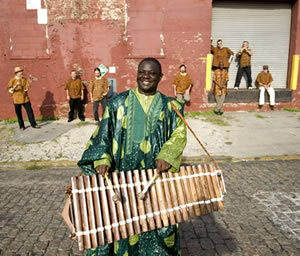 Jose Conde With subtle rhythmic intensity in voice and song, Jose Conde takes his Cuban roots and grafts them onto a dizzying range of Afro-Latin styles, from Puerto Rican bomba to Haitian compas to New Orleans swamp-funk. The result is a nonstop blend of party-stoking grooves. 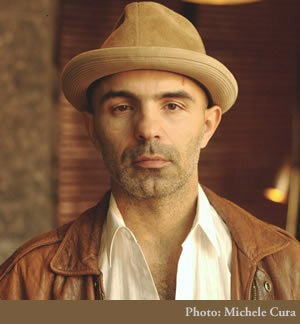 In addition to winning the Best Latin Album category in the 2008 Independent Music Awards, his many placements on Putumayo compilations have garnered him high praise for what the Boston Globe calls a "trademark whimsy that stretches across multiple styles and is utterly swinging." To listen to some of Jose's music, click here. Henry the Juggler Henry the Juggler is armed and dangerous. 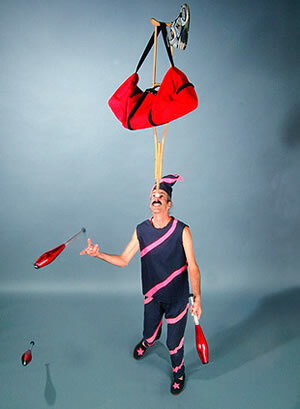 Moving between BALLS, CLUBS, RINGS and TORCHES with an astounding ease, he is "wanted" on several continents for defying the laws of gravity and causing spontaneous outbursts of laughter. Speaking little while saying volumes through his expressions and body language, Henry has a wonderfully inclusive way of working "innocent bystanders" into the proceedings. A key participant in our 2011 expedition focused on raising much needed funds for deaf students in the Dominican Republic, his humorous delivery makes it easy to lose sight of what he's actually doing right before your very eyes. To listen to some of Kakande's music, click here. 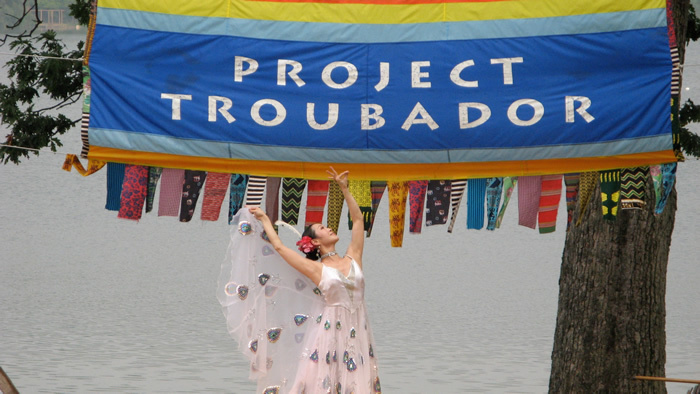 THE PROJECT TROUBADOR GROVE FESTIVAL is produced with the generous support of The Salisbury Bank and Trust Co., local businesses and Project Troubador members. Admission is $15.00 for adults, and $5.00 for children 12 and under. Project Troubador members are admitted free of charge. Bring a lawn chair to sit from the middle to the back of the audience, a beach chair (low to the ground) to sit in the front half of the performance space, and a blanket to sit wherever you want. 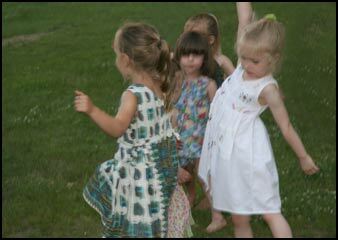 Picnics are encouraged and in case of rain, bring protective gear. 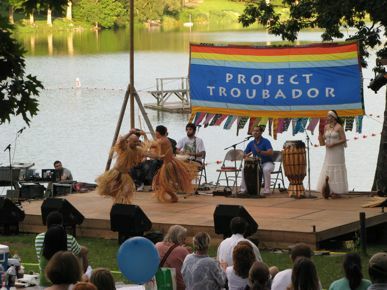 Every year, Project Troubador produces the Annual Grove Festival at the Town Grove in Lakeville, Connecticut on the last Saturday in June. The goal of this evening is to create a "mirror image" of what we do around the world in our own backyard.The Grove is our local swimming hole but more importantly, it is a place where area residents enjoy gathering and as such , it presents a strikingly similar venue to the town squares we often perform in far from home. Musicians and dancers with some sort of ethnic core to their performance appear under the evening skies at water's edge, giving the local population a chance to experience far away lands and unfamiliar cultures in a setting where they feel totally at home. People bring picnics and blankets, children run around or crowd right up to the edge of the stage, and at the end of the evening, the whole town dances on the grass ! It is a night where small town New England swings it's doors open to a world beyond and bathes in the beauty of performances that are at once mysterious, captivating and illuminating.